After years of a complete ban, Israel began allowing transit of goods produced and grown in Gaza in the West Bank in late 2014. The approval was initially limited to agricultural goods, but has since been expanded to include other products like furniture and textiles. In our attempt to understand how the Coordinator of Government Activities in the Territories (COGAT) decides which goods may exit Gaza and which may not, we submitted a Freedom of Information Application on the subject. COGAT's long, detailed and surprising response arrived in late March. The full text of the response is available here (Hebrew). First, it's worth noting that there is zero reference to security in the entire response. When the possibility of selling goods from Gaza to the West Bank was discussed just last year, "security" was front and center. Defense Minister Moshe Ya'alon and Prime Minister Binyamin Netanyahu were prepared to risk a diplomatic confrontation with the Dutch government over the issue, claiming that Gaza goods could not be sold in the West Bank for security reasons even though the Dutch had donated a top-of-the-line scanner for just such a purpose. Now, Israel has allowed the sale of good from Gaza in the West Bank, and even some agricultural goods in its own territory, and somehow security considerations have disappeared. Despite its impressive length, the response doesn't really answer the questions we asked. Even so, the response is fascinating. For example, the response states that, among other things, COGAT considers "manufacturing capacity, supply and demand in the relevant markets – both the originating market and the destination market". In other words, COGAT is claiming that, before it decides whether to allow goods to be sold in the West Bank, it conducts an economic assessment of the markets in the West Bank, the financial potential of the goods and the Gaza manufacturer's capacity to meet his own targets. Does COGAT, a unit of the Ministry of Defense run by a major general in the Israeli army, have an economic planning department that does market research in the Gaza Strip and the West Bank? Will Ministry of Defense economists refuse to approve the shipment of goods if the demand is lower than the supply in the "relevant markets"? How often does COGAT conduct an assessment of the "relevant markets" and what is its methodology? Who appointed COGAT to regulate the Palestinian market? To those who say Israel "left Gaza", we offer this document up for discussion. Ten years after the implementation of the disengagement plan, Israel's Ministry of Defense has wide discretion to determine the bottom line on the monthly balance sheet of your average private entrepreneur from Gaza and it appears to have nothing at all to do with security. My father-in-law, Mughira Barghouty, is dying. At age 91, his health has severely deteriorated over the last six months. 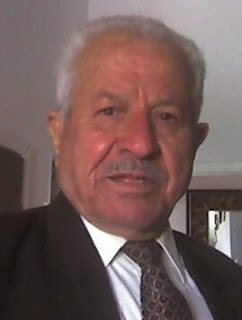 He has three daughters: Sawsan, Serene and my wife, Abeer. Serene and Abeer live in Ramallah and have become full-time caregivers to their now bedridden father. Sawsan lives in Amman, Jordan. Of late, Mughira has repeated a single request: to touch his daughter Sawsan's hand one last time. It was about to happen on the last day of April. Sawsan got all the way to the Israel border crossing, Israeli tourist visa in hand, but she was denied entry and told to go back to Amman. The family is crushed, but not surprised. My sister-in-law Sawsan is in Ramallah. She missed seeing her father before he passed away. She missed her father's funeral. She missed the three days of mourning. Because on April 30th she was deemed to be a threat to the security of the state of Israel and was denied entry from Jordan, where she resides. Her father died on May 15th. On May 18th the Israeli authorities granted her approval to visit the West Bank for two weeks. 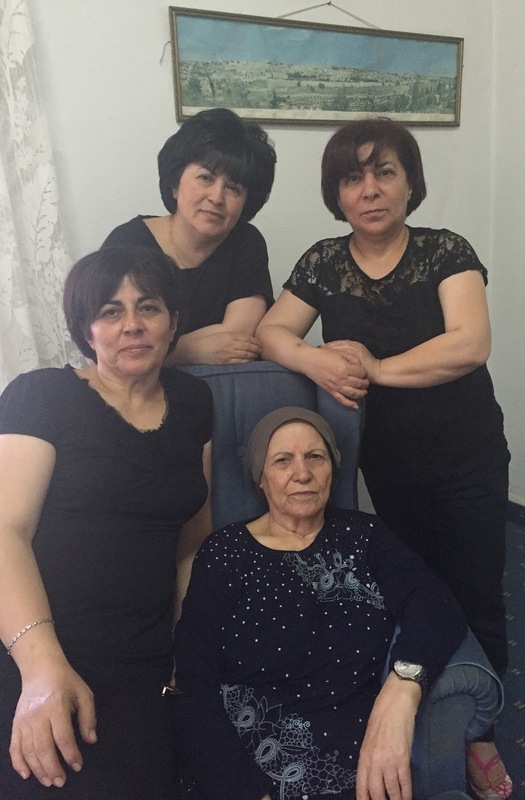 She entered the West Bank on May 19th and is pictured here with her mother and sisters. We remain focused on getting her Israeli-issued West Bank Residency ID reinstated. Like thousands of others who were born under occupation in the West Bank and Gaza, her ID has been confiscated by Israel for decades. I'm honored and humbled. Thanks Dr. Zogby. I have written before about some of my Palestinian American heroes, including men like Ibrahim Abu-Lughod and Zahi Khouri. I want to add to that list, my friend, Sam Bahour.